Direction: Waterson Expressway towards town on Poplar Level left at light on Taylor Ave House before stop sign across from PARK!!!! 1605 Taylor Ave, Louisville KY 40213 is a Home, with 2 bedrooms which is recently sold, it has 1,000 sqft, <.25 sized lot, and 1 Car Garage,Detached parking. A comparable Home, has 5 bedrooms and 1.5 baths, it was built in and is located at 1408 Cardinal Dr Louisville KY 40213 and for sale by its owner at $ 185,000. 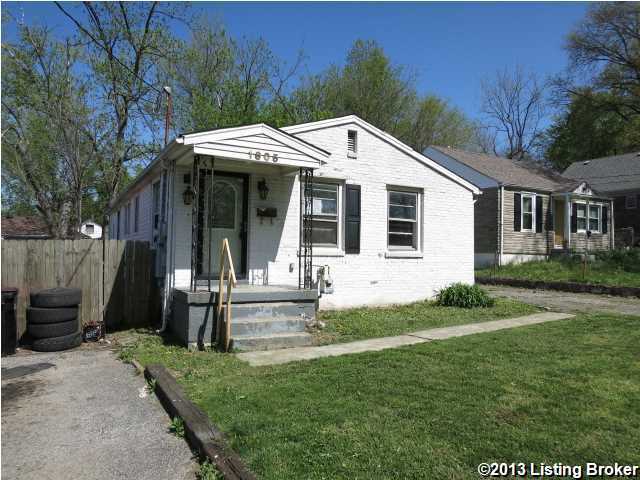 This home is located in the city of Louisville , in zip code 40213, this Jefferson County Home, it is in the CAMP TAYLOR Subdivision, LYNNVIEW and NORTH AUDUBON are nearby neighborhoods.